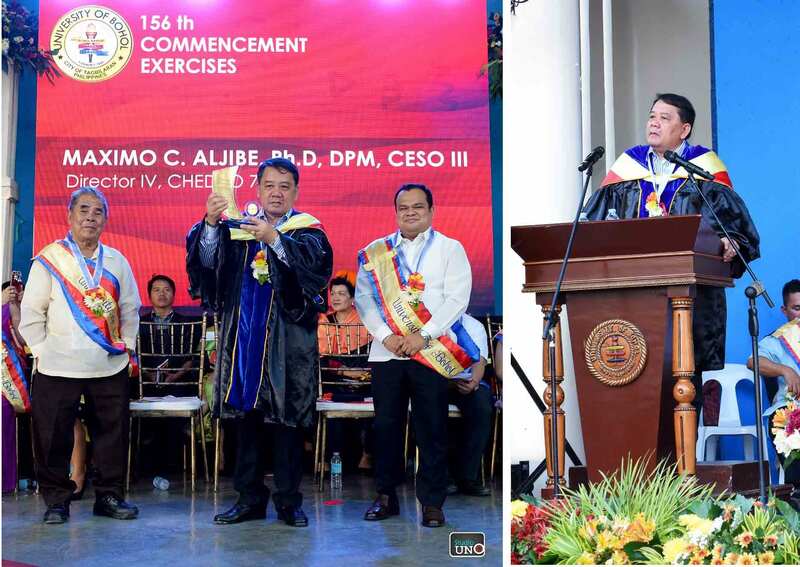 Regional Director Maximo C. Aljibe of the Commission on Higher Education (CHED) Region VII, was the guest of honor during the 156th Commencement Exercises of the University of Bohol (UB) last March 20, 2019, at the university quadrangle. 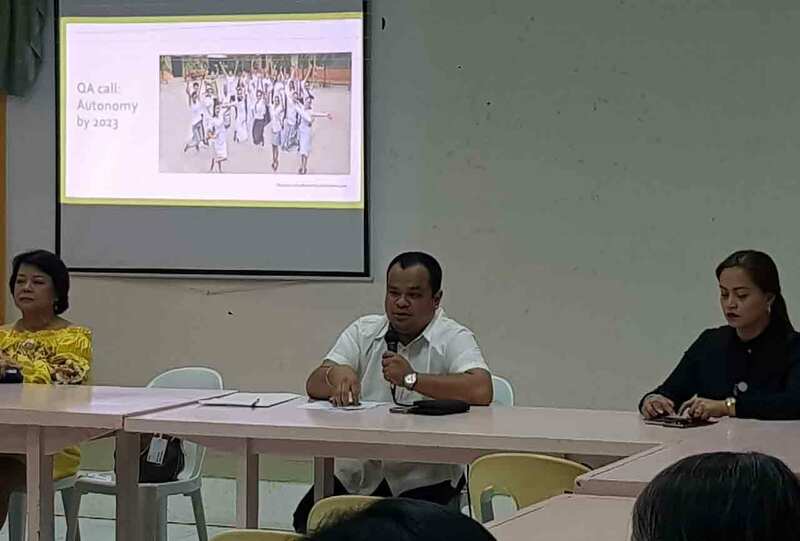 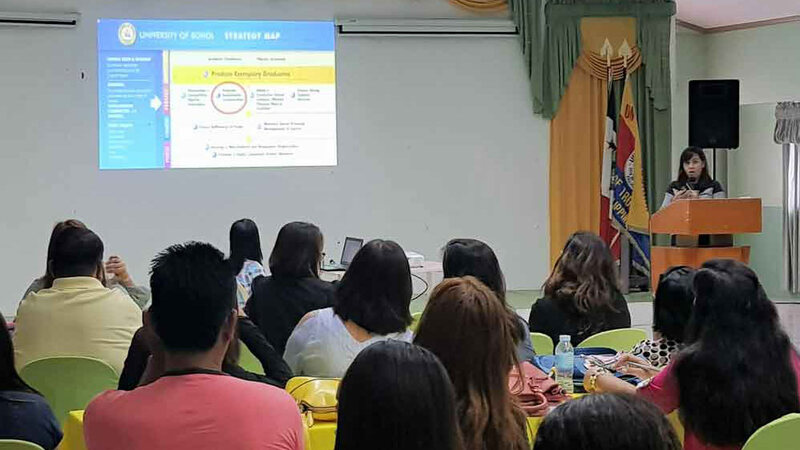 In its bid to become an autonomous higher educational institution by the year 2023, the University of Bohol (UB) administration has set into motion the setting and implementation of quality assurance initiatives among its stakeholders. 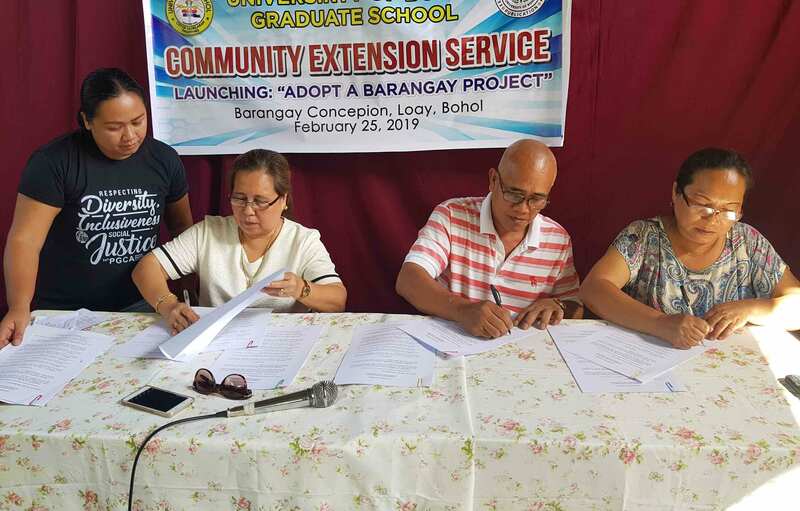 The University of Bohol - Graduate School (GS) and the Community Extension Service Office, formally launched the first Adopt A Barangay Project with officials of Barangay Concepcion, Loay, Bohol last March 16, 2019.